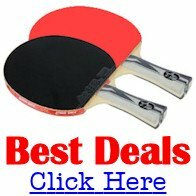 Top Spin Table Tennis Club is a newly formed table tennis club in Stretford, Manchester, UK. We are looking for new players to come and join us regardless of skill or age. Visitors are welcome to come along and spectate but we can't promise we won't convince you to join in the fun! Your first time will be FREE. Following that the price on the night is £4. 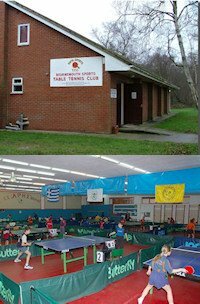 There’s no membership or advance payment - just turn up on the night, pay and play! All equipment is provided but you are free to bring your own. The club is very social and we have a laid back attitude. Although we currently do not compete we are hoping to gain entry to local/national tournaments in the future. A club website is currently under construction and will hopefully be up and running soon, along with a forum. The venue is in Stretford, Manchester, UK and is easily accessible from most of Manchester and surrounding areas via Metrolink/Bus routes and the M60 ring road. For further information on dates/times/location, contact Zac Harvey.